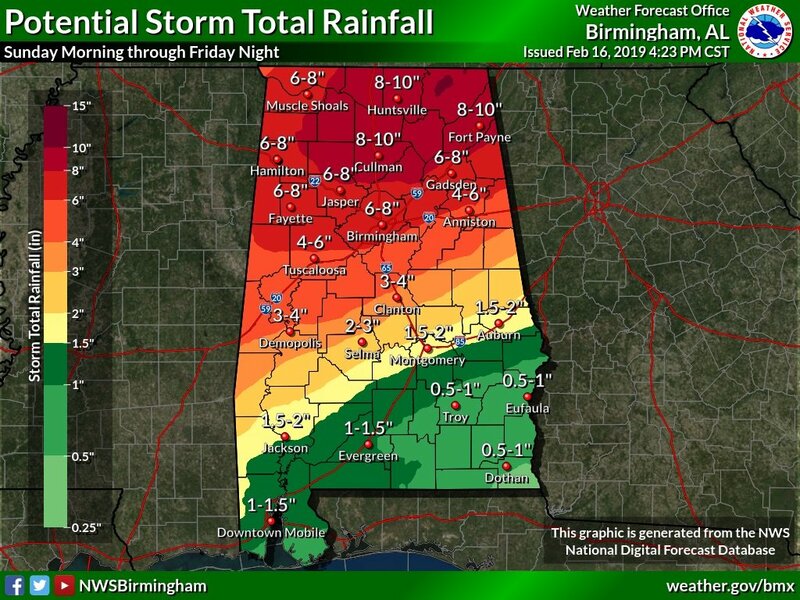 Up to an additional 4 inches of rain possible through the weekend for parts of Alabama. 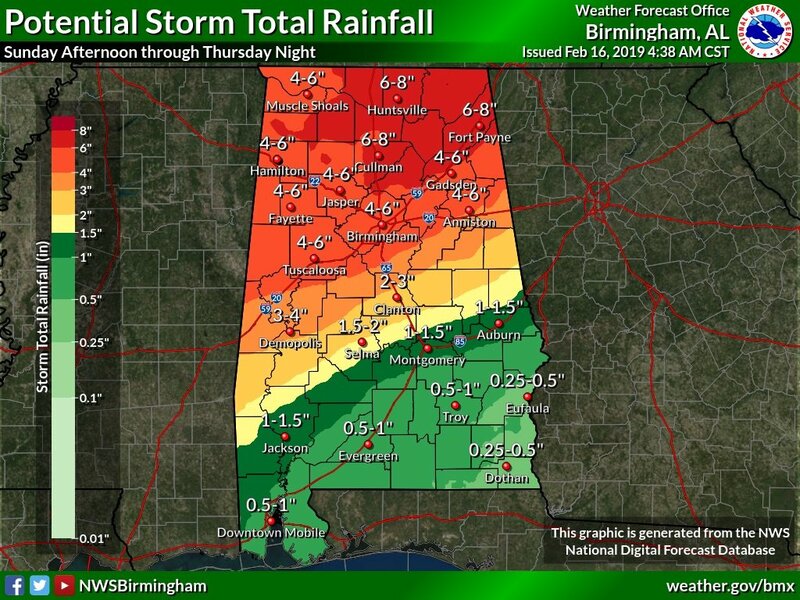 An additional 2-4 inches of rain will be possible in parts of Alabama. 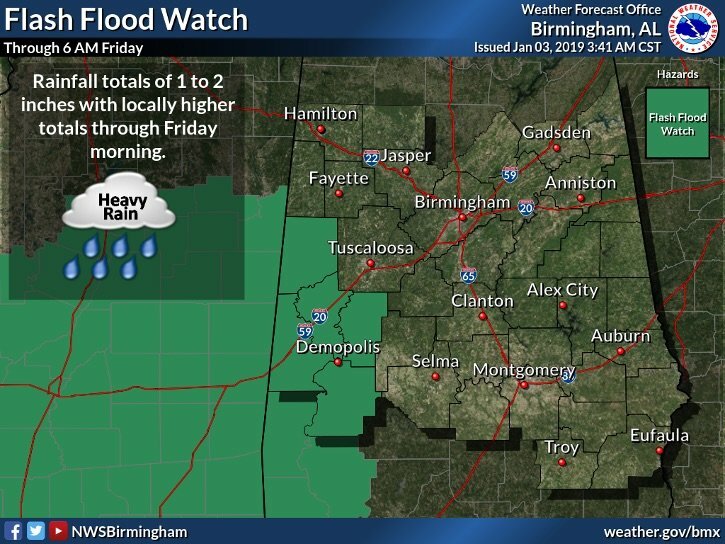 Forecasters continue to be concerned about the potential for flooding. 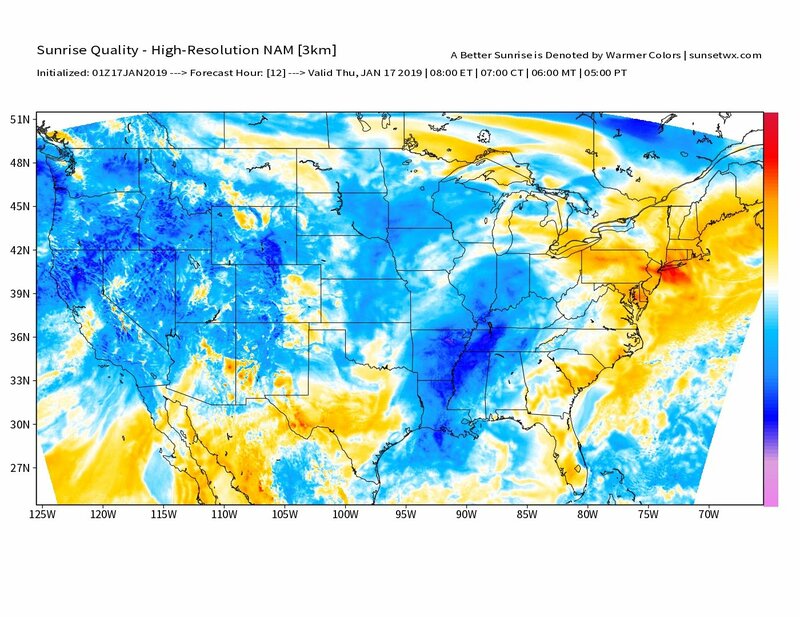 The driest day of the week may be today. 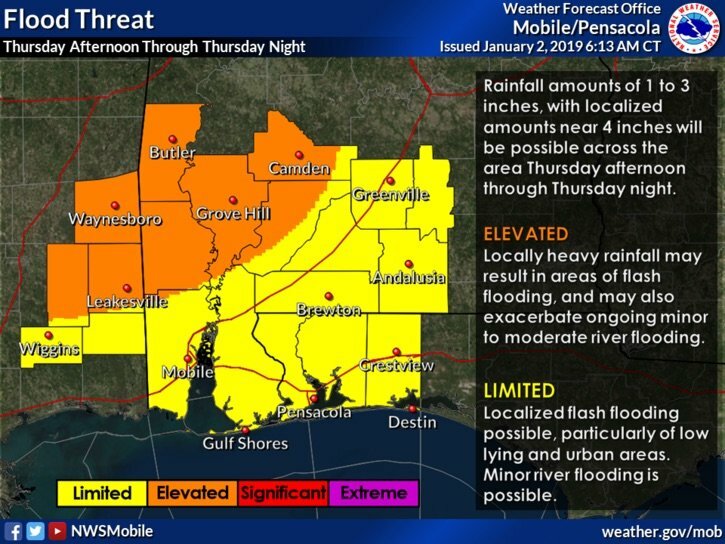 Weather service says flooding concerns will be high. 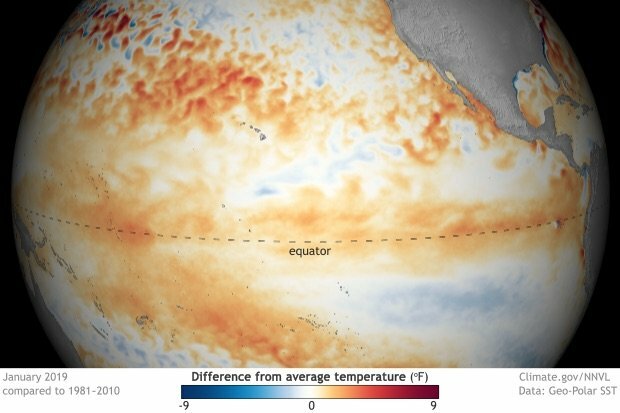 How long do researchers expect it to last? 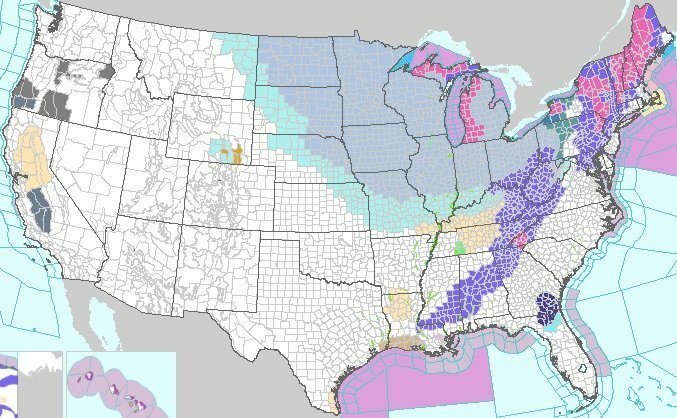 Up to 5 inches possible through next week in parts of the state. A tornado can't be ruled out, either. 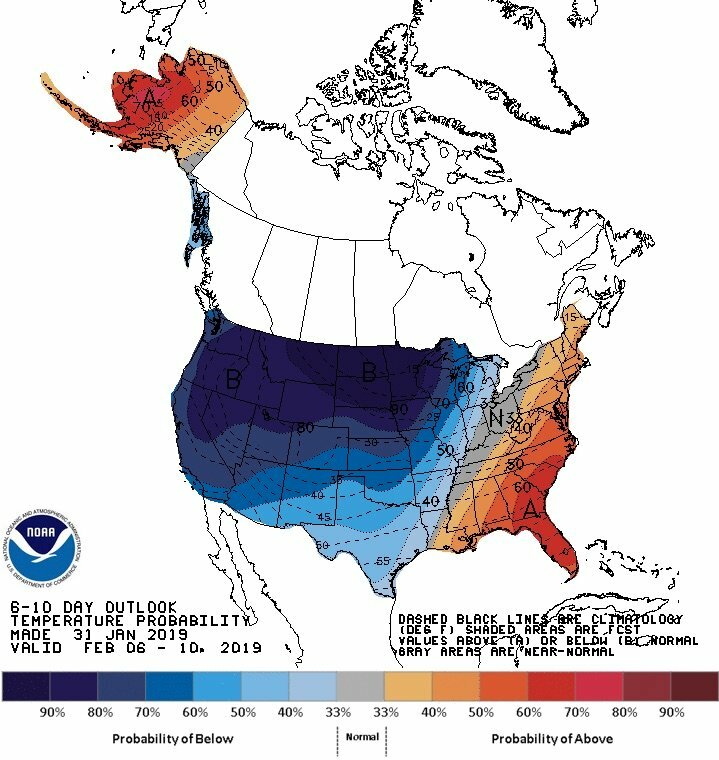 Winter set to return tomorrow. 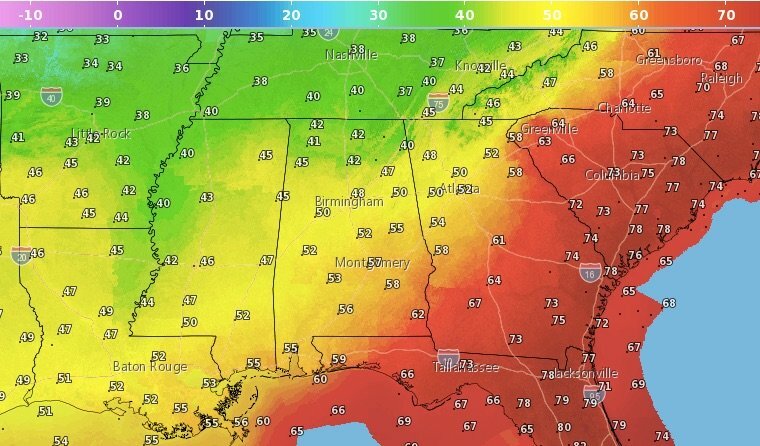 But winter will return on Friday. But reality returns on Friday. 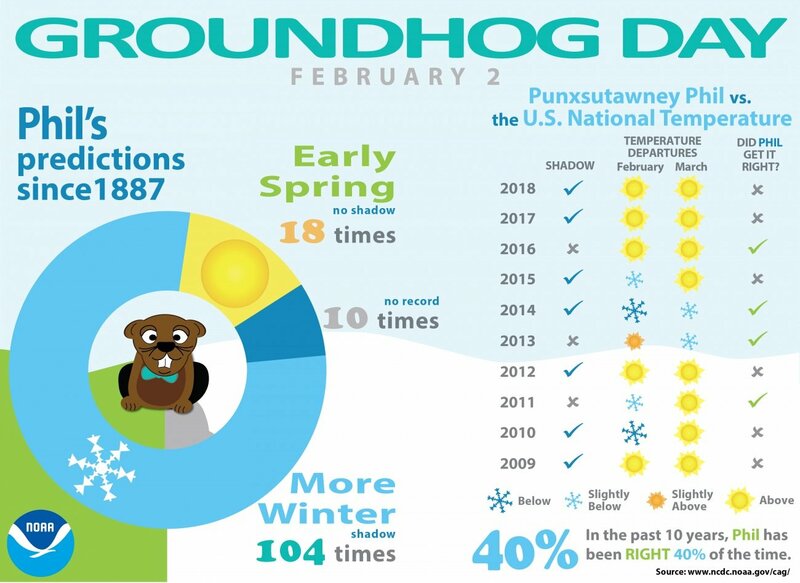 Groundhog Day 2019: What's Phil's track record? 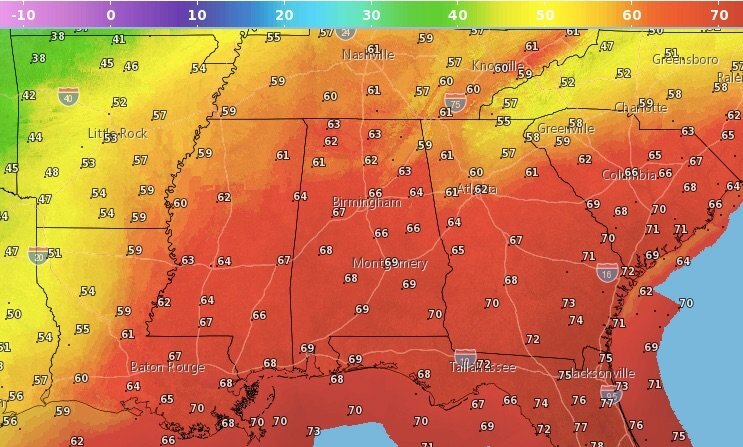 How have Alabama's own groundhogs (and possum) fared? 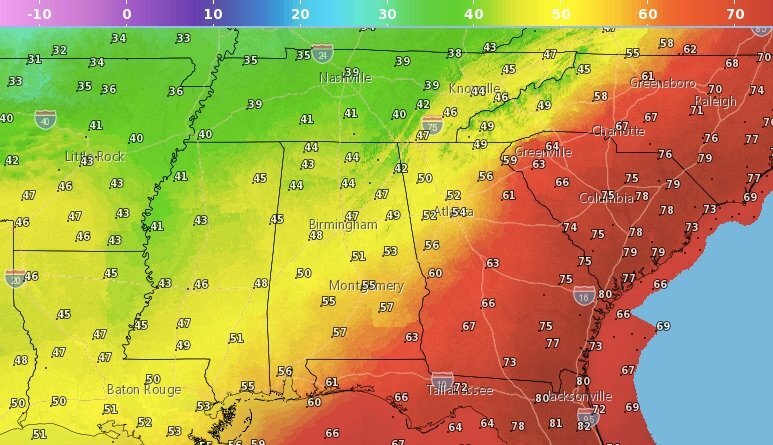 Highs in the 70s next week? We'll take it. Now an inch or less possible for some areas. Up to 3 inches will be possible in some parts of the state. Up to 3 inches will be possible in some areas. 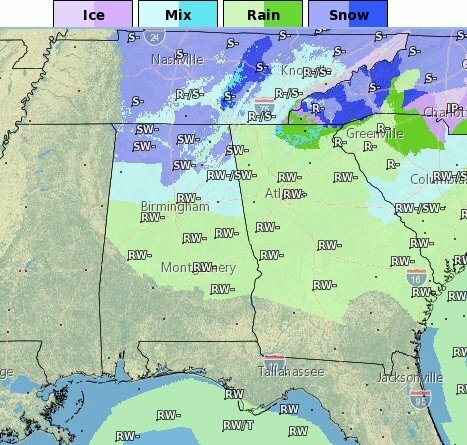 Snow looking more likely for parts of Alabama on Tuesday, but how much? 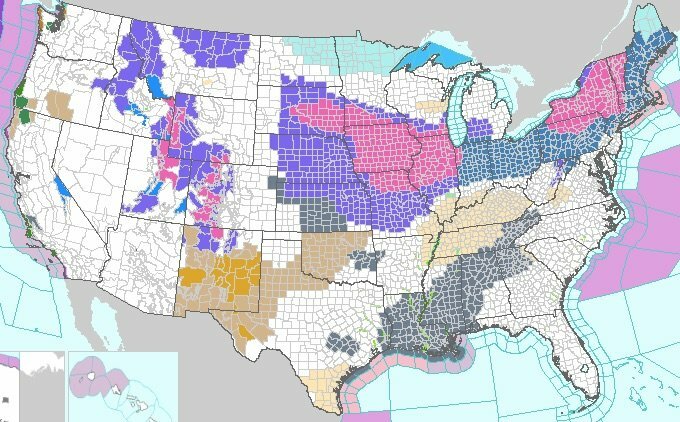 Some will get snow. But some will get left out in the cold. Some spots could get up to 2 inches -- but not everyone will see snowflakes. This time it could -- could -- accumulate in some spots. 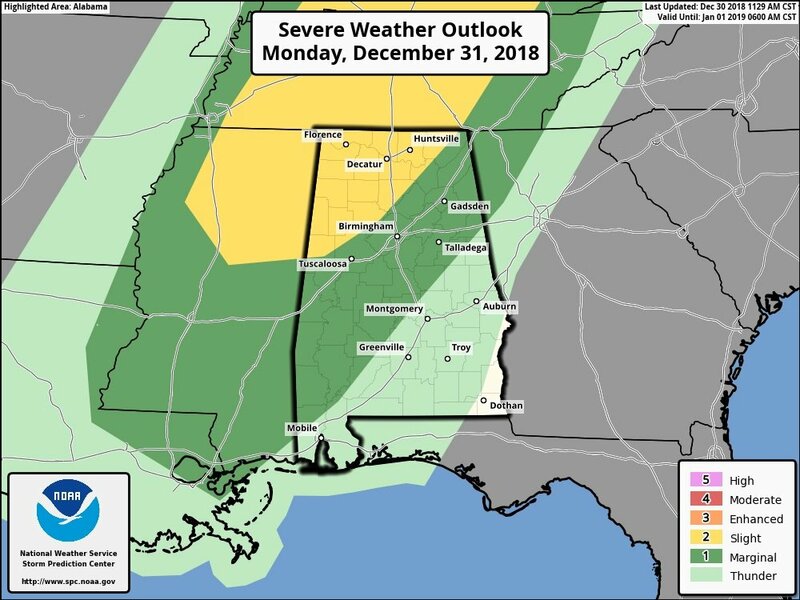 Wind, hail and brief tornadoes will all be possible close to the coast. The moon will dim and take on a reddish tint later tonight during the only total lunar eclipse of 2019. 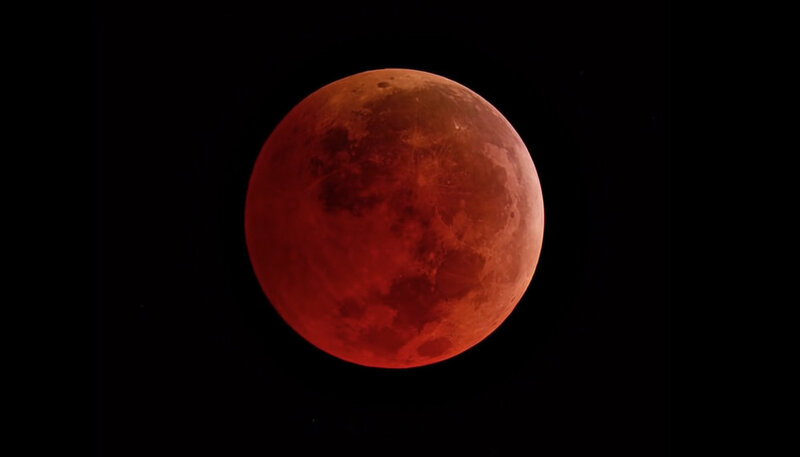 The moon will dim and take on a reddish tint tonight during the only total lunar eclipse of 2019. 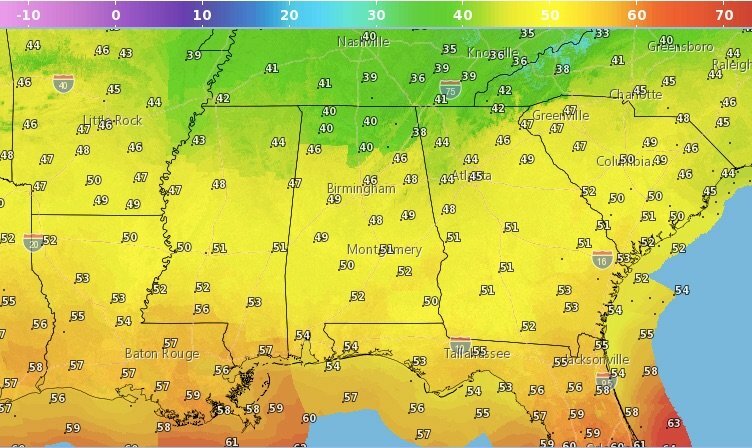 The clouds will be gone, but it will be pretty chilly for skywatchers. 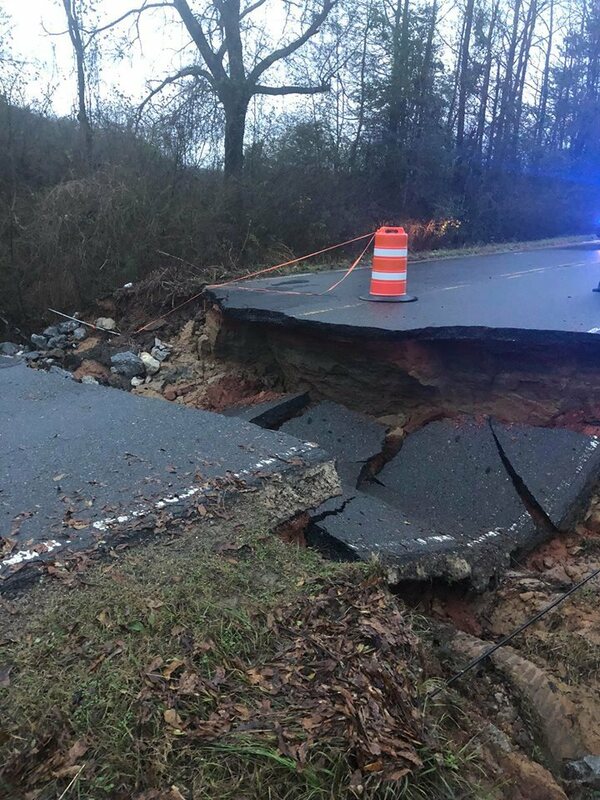 NWS gives storm a preliminary rating but cautioned that the damage survey wasn't over yet. 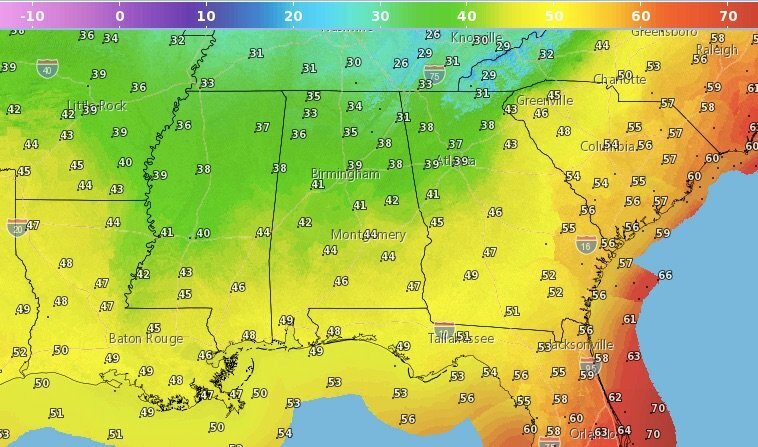 Low temperatures tonight could be some of the coldest of the winter so far. 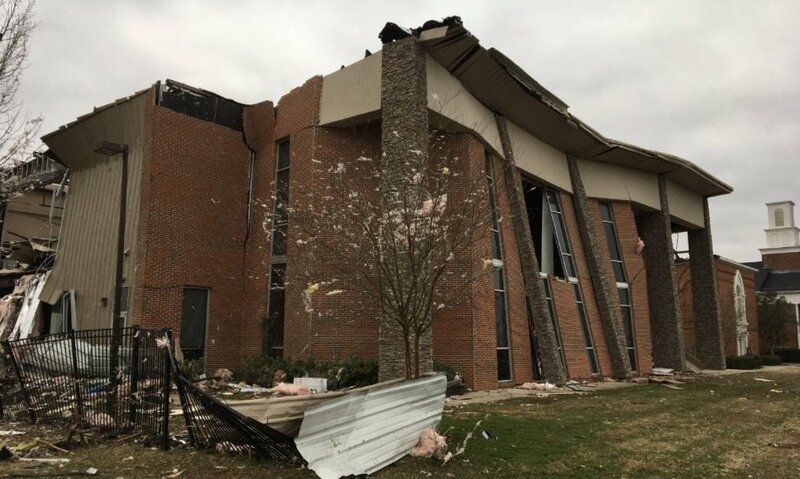 Meteorologists to determine how many tornadoes touched down during Saturday's storms. 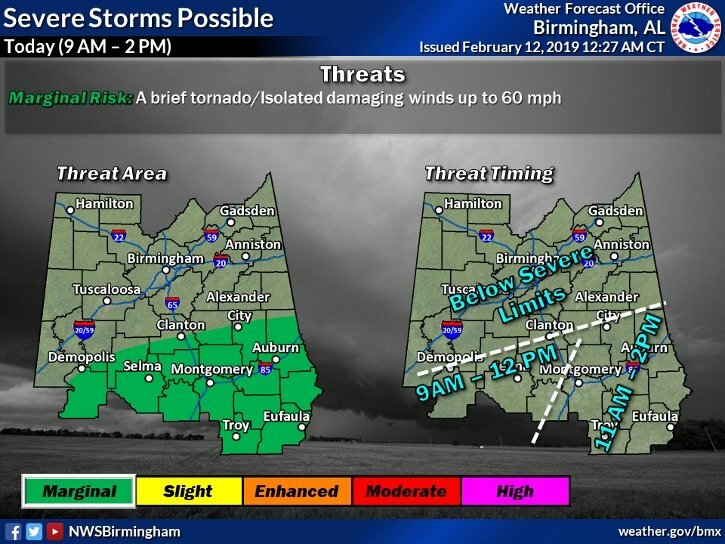 Damaging winds and a few tornadoes in the forecast as a squall line moves through the state. Low clouds, drizzle and fog may make for dicey driving this morning. 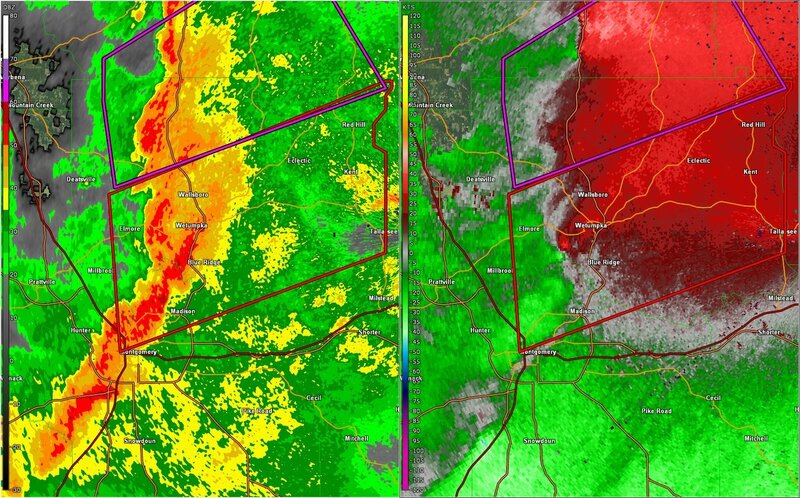 Damaging winds are the main concern, but there could be a tornado too. The days are getting longer little by little. 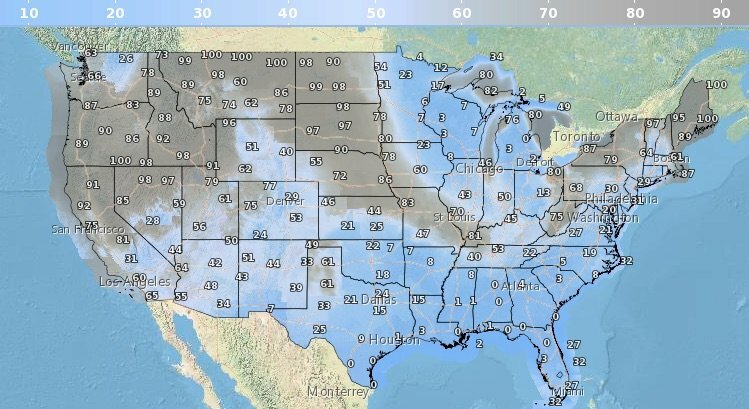 Temperatures in the teens are expected by Monday morning for a good part of the state. But will it snow? 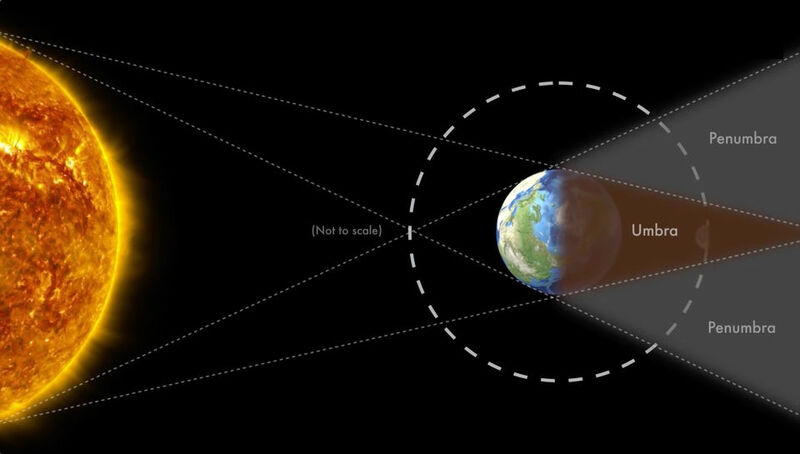 This will be the only total lunar eclipse of 2019, NASA says. 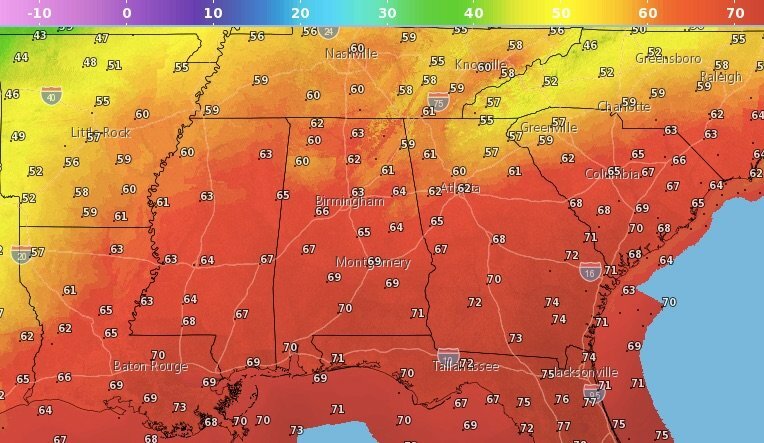 Alabama to have above-average temperatures again today, and Tuesday too. More rain, really? How much this time? 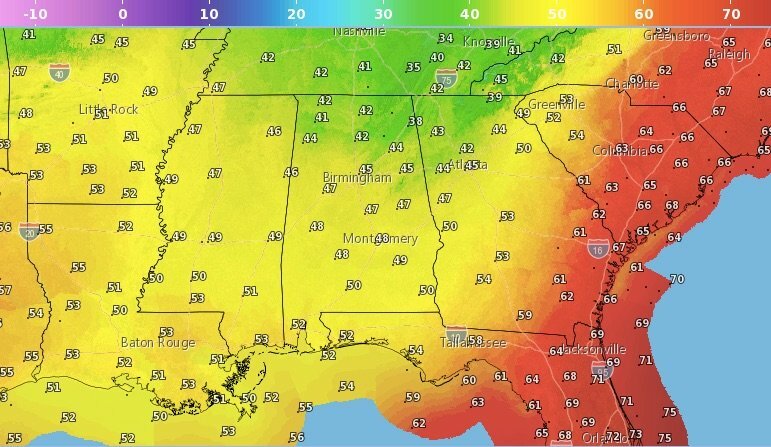 But there's good news: You might even get to see the sun this weekend. 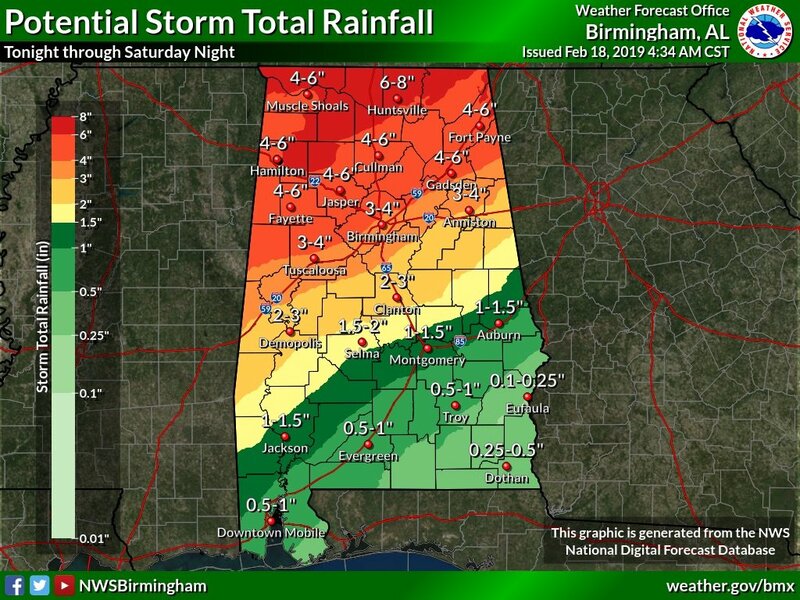 And how much rain did Alabama get this year? 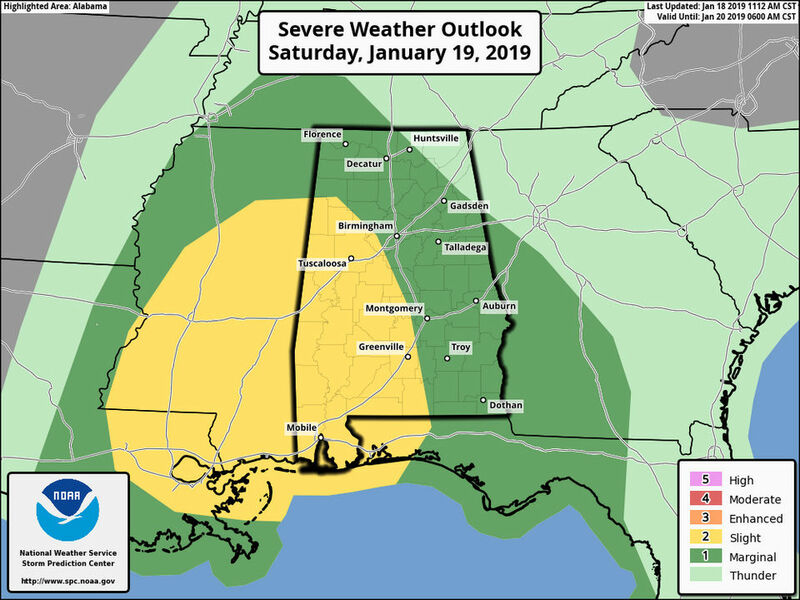 Isolated to scattered severe storms will be possible. 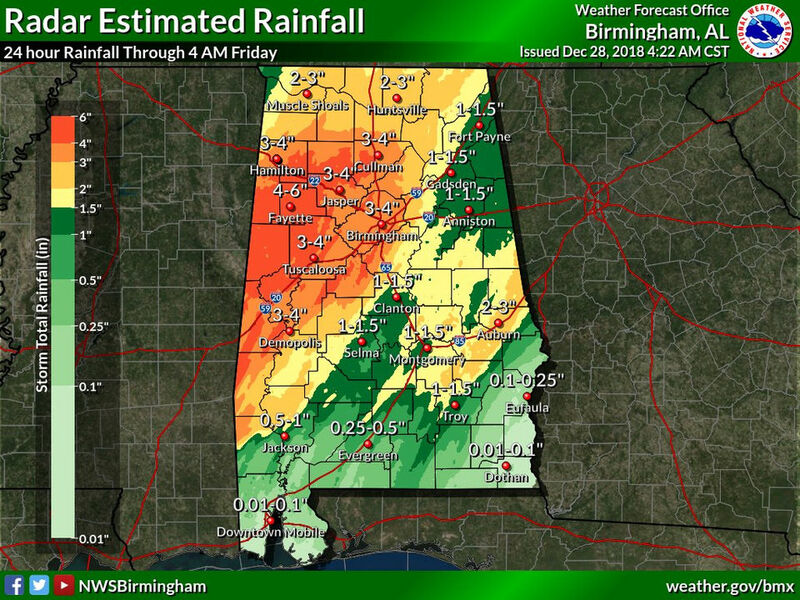 Just how much rain did Alabama get? 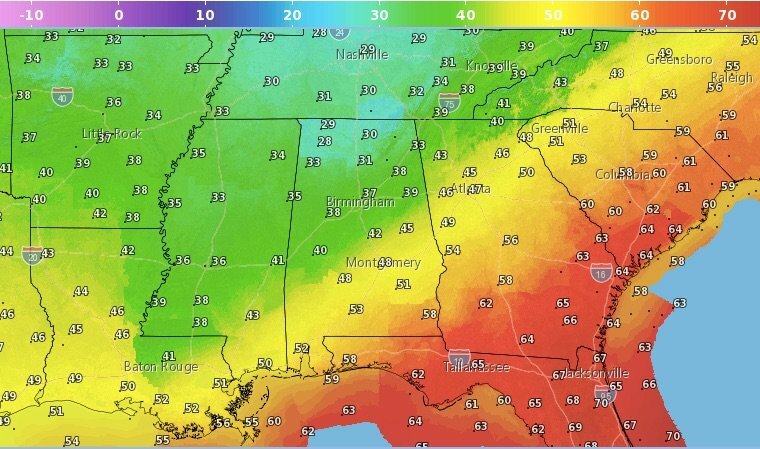 And more is in the forecast for the next few days. 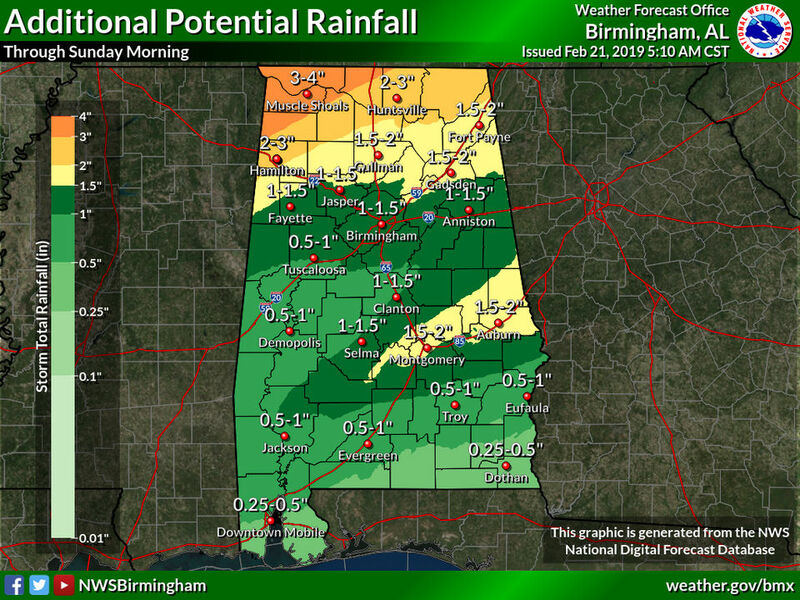 Rain expected to continue for many areas today. 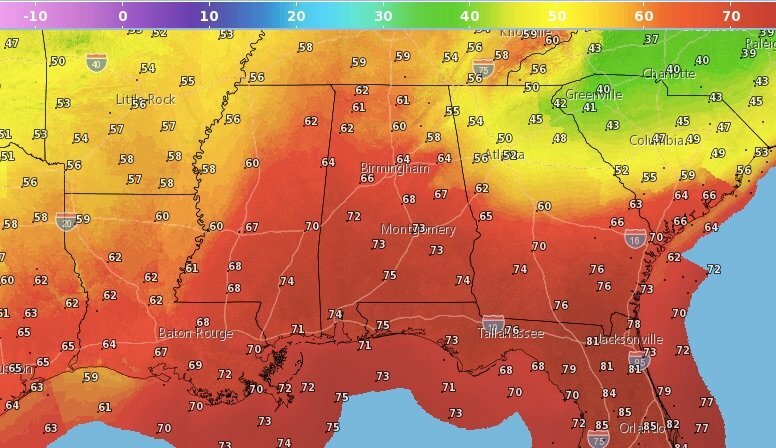 At least it won't be freezing cold. 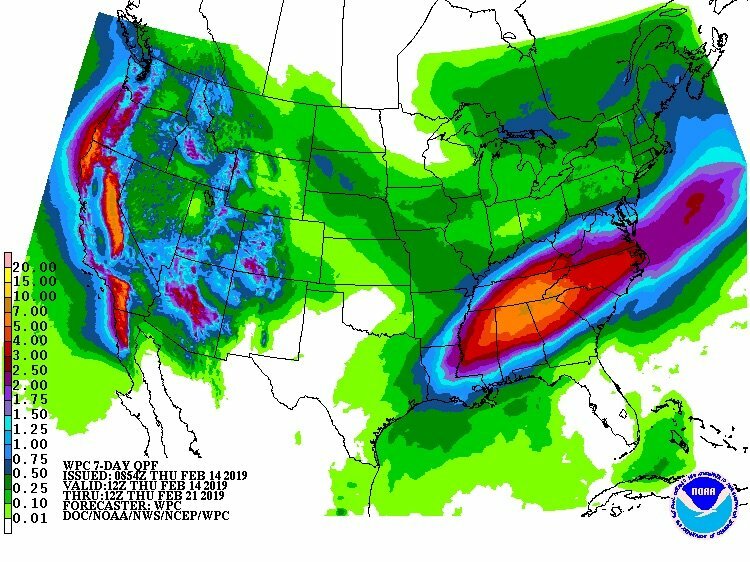 Multiple rounds of rain expected through next Tuesday. 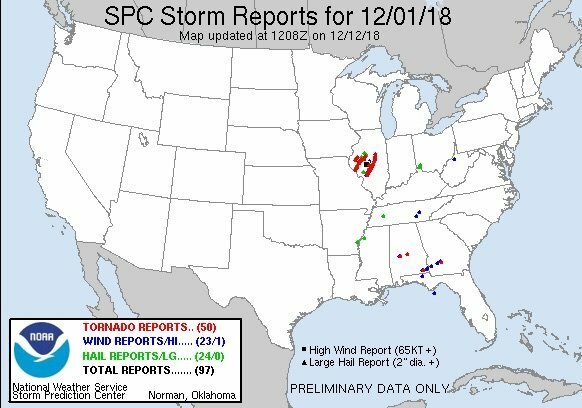 This tornado brings the total to three for that weekend. 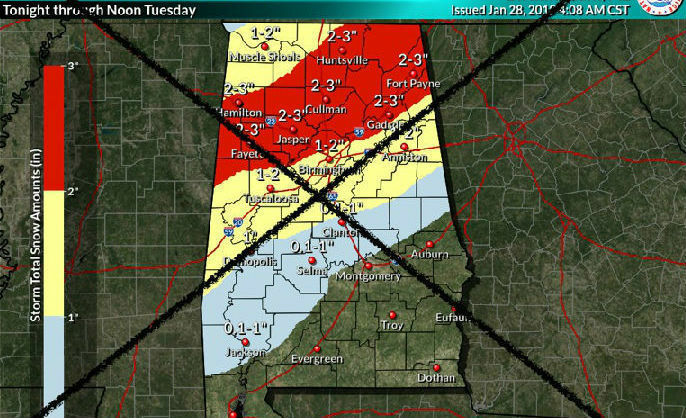 Forecasters aren't expecting much in the way of accumulations. 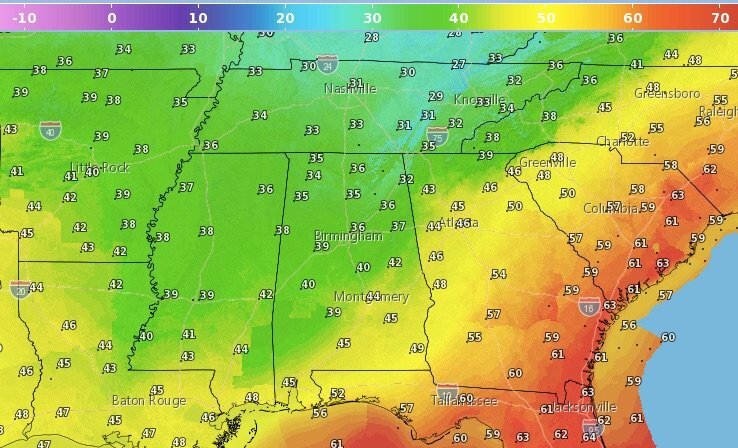 Cold, wet weekend in store for Alabama, but will it snow? 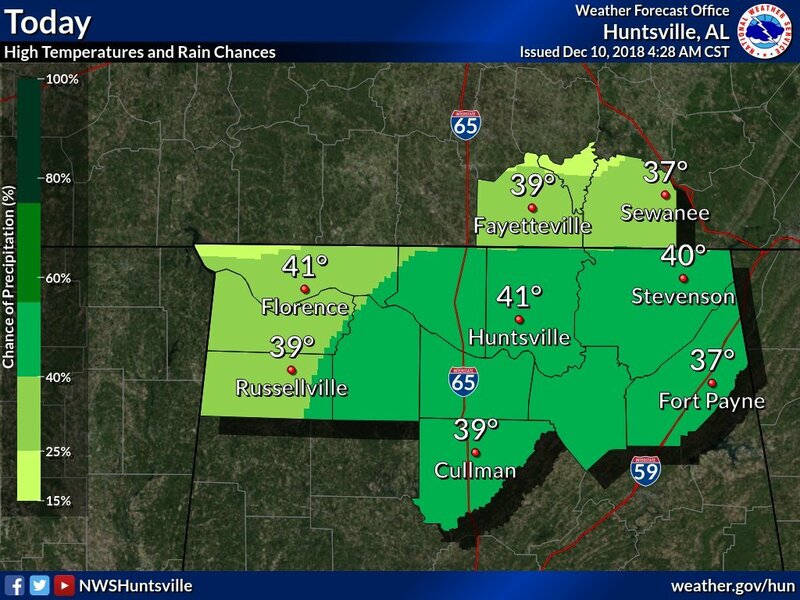 A few snowflakes will be possible in north Alabama late this weekend.